AGS (Anesthetic Gas Scavenging) - BS1710:2014 Banded Pipe Identification (ID) Labels- Campbell International Specialist Tapes. 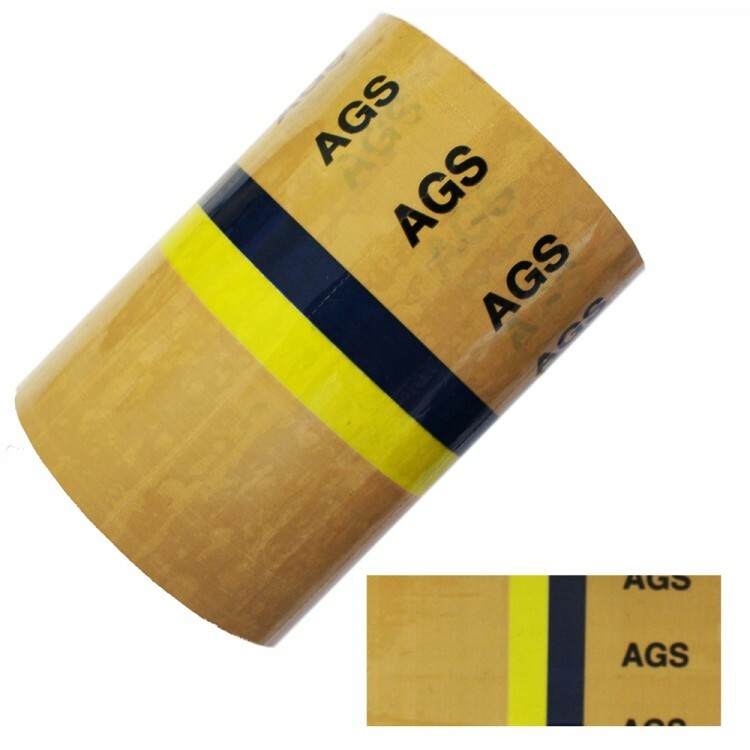 Technical specification: 144mm laminated pipeline identification tape perforated every 62mm into labels. White rigid PVC coated one side with a transparent resin rubber adhesive laminated with a 30 micron transparent polypropylene for environmental protection. Recommended for internal use only. Perforated every three symbols to form lables.